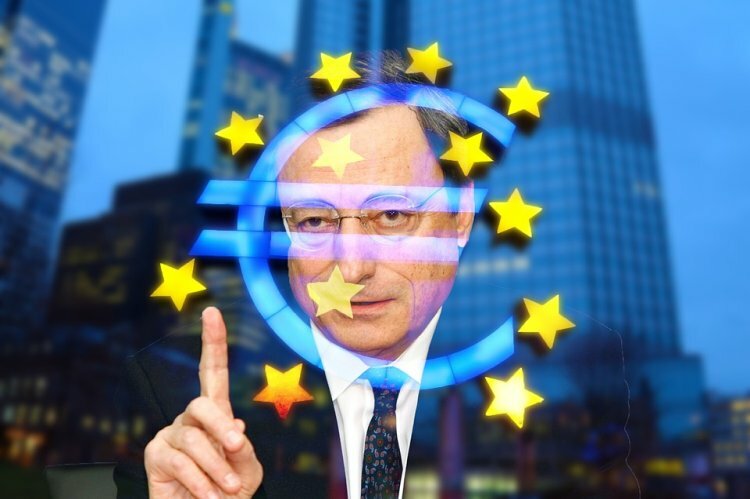 The European Central Bank sits at the helm of Eurozone. From its 2500 staff tower in Frankfurt, Germany, it sets the monetary policy over the nineteen countries that form the Eurozone. The bank has a robust mandate: to keep inflation below or close to two percent in a monetary union most of the times divided by North/South differences. Most Europeans view the ECB and its members as unelected entities; hence the bank is not much popular among its citizens. After the 2008 financial crises that started with the housing bubble in the United States, the Eurozone faced severe challenges. The Greece bailout, the Spain and Italy market rout, and even the Brexit vote in middle 2016. Yet, despite all hurdles, the ECB managed to contain the situation. Not only that the Euro survived, but the European sentiment and project are stronger than ever. No monetary union withstood the test of time. That is, until now. Historically, the Euro has no chance of survival. There’s no precedent for that. Are conditions different this time around? The ECB sets the monetary policy for the Euro, the currency of nineteen European countries. Together, they form the second largest economy in the world, after the United States. That was the idea that stood behind the European Union creation: to get Europe together to face super-powers like the United States and China. Together, the Europeans have a stronger negotiating power with other countries. A central bank so important has only one mandate though: to keep inflation below or close to two percent. And, the primary tool to do that is to maneuver the interest rate level. The Fed in the United States is the most proactive central bank in the world. And, the most influential one. Typically, the other central banks follow the Fed’s footsteps. With the 2008 financial crisis, the Fed’s response was to cut the level of interest rates to zero. However, it wasn’t an unprecedented move. What followed was, indeed, unprecedented: it engaged in a massive bond-buying program known as quantitative easing or QE. However, after four rounds and a few years of balance sheet inflating, the Fed decided to stop the buying, in a process known as tapering. Because it sets the rates on the most important currency, the U.S. Dollar, the whole world waited for the reaction to the Fed’s tapering. The so-called taper tantrum made emerging markets suffer and brought extreme volatility levels on financial markets. Will the same happen in the Eurozone? As the Fed typically leads the way, other central banks didn’t hesitate. Neither the ECB. It embarked on a massive bond-buying program that inflated its balance sheet to unprecedented levels. Unlike Fed, the ECB soon ran out of options to buy. As such, it started buying corporate bonds and all kind of junk bonds in a desperate effort to stimulate the economy. And, it did. What is the economic principle behind easing? Central banks use the interest rates to fight inflation. Or, the lack of it. When inflation reaches the zero level, and the interest rates are on zero too, the central banks face a tough decision. How to ease some more? The idea is to stimulate commercial banks to lend money to businesses and population so that the economy will react positively. However, this is a process and results don’t come overnight. However, after years of expanding the balance sheet, the time has come to an end the stimulus. The European economies improved significantly, the unemployment rate dropped, and economic perspectives look brighter too. As such, the ECB contemplates putting an end to the bond-buying program. And, there are two ways to do this: either abruptly starting the program, or gradually reducing it. A gradual reduction makes sense. But will the tapering bring the same reaction as in the Fed’s case? The ECB went some steps further than the Fed. Not only that it bought/still buys bonds, but it moved the interest rate level below zero. In an unprecedented move, the second largest central bank in the world moved rates below zero. And, it kept them there for quite some time. Therefore, the tapering of the bond-buying program is only one step towards policy normalization. The next one will be to start lifting the interest rates level. And finally, to reduce the size of its balance sheet. But it won’t happen anytime soon. The first rate hike, if anything goes according to the plan, will come only in 2019. And, even that hike won’t be enough to lift the rate above zero. However, it will signal an end to ultra-easy monetary policy conditions in the second largest economy in the world. The Fed and the rest of the world embarked on different monetary policy courses. The gap cannot be more obvious. Changes at the helm of the Fed will not affect its recent decision to reduce the size of the balance sheet. The Fed now sells the bonds it bought with the quantitative easing program, while the ECB and other major central banks still buy. This discrepancy will bring more volatility to the trading table, and it is no wonder the equity markets tremble. The question is, will the ECB tapering decision contribute to the rise in volatility? To sum up, the chances are that the ECB tapering will differ both in structure and in size than the Fed’s one. Moreover, the central banks most likely learned something from the taper tantrum in the United States. As a result, the ECB will work on clearly communicating the message to financial markets, so that the Euro won’t experience high volatility levels. Ironically, despite the ECB and the Fed being on different tracks (ECB still eases while the Fed is in the middle of a tightening cycle), the Euro rose against the dollar. The EURUSD pair sits comfortably above the 1.20 level, with the bias being that we’ll see further appreciation. Is monetary policy losing its importance for the currency market?